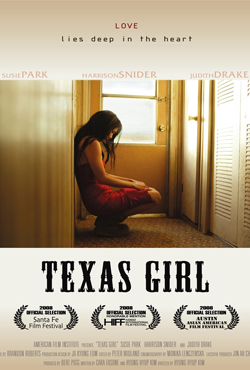 Texas Girl is the love story of Mi-sook, a Korean girl with a questionable past, who marries Charlie, an American G.I., and moves to rural Texas. Mi-sook is a fish-out-of-water in Texas as her only anchor is her new husband who has smoothly returned to his former life. As Charlie’s love for his wife dwindles, Mi-sook must find true freedom in her new life, despite being abandoned.